Whilst many people might find this is easy, I think I have google zillions of page just to get a simple mvn release:prepare and mvn release:perform with BitBucket. I thought I am going to write a blog here just to help out those you might need a dummy-guide to get maven prepare and perform working. Please note that I am using Linux, and also running the command with Netbeans. The next thing we need to do is to identify WHO you are, and that is done by generating public key, and then install in on BitBucket. Enter, enter passphrase etc, etc, just follow it. Until the key is generated. When we perform a release, of course we need to create a branch where the artifacts being uploaded. So, go and login to your BitBucket and create a branch and call it 'releases'. What needs to be done next is to modify our pom.xml to point to the correct BitBucket account. 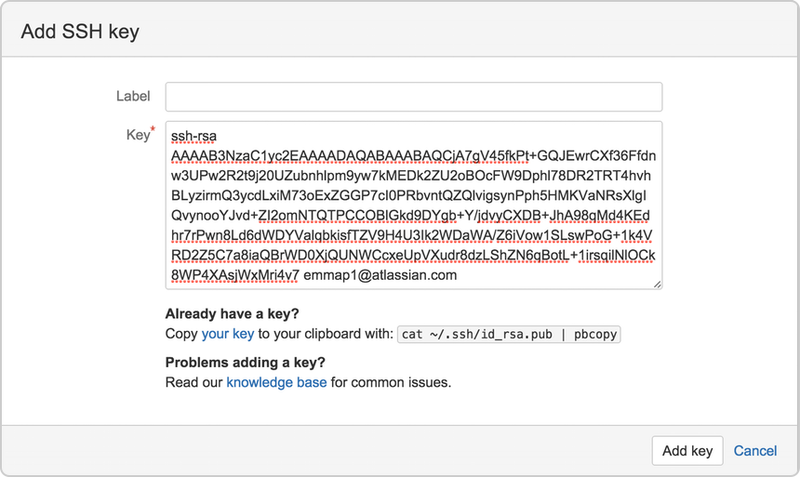 Bear in mind that our git can now identify WHO we are since we have do the 'public key work in the previous section. In order to deploy artifacts on remote Git SCM repository, we need to use a plugin called wagon-git (Synergian, 2015). The website provided in Synergian is very detail. Feel free to follow it. But I am going to show you snippet of my pom.xml anyway. comments interleaved. maven-release-plugin. That one is quite basic. That’s it! You can do now mvn:release prepare and mvn:release perform, with your released artifacts uploaded to BitBucket. Is this still relevant with the recent version of bitbucket API2.0?